Every retirement community is as unique as you are. Each community has a full range of options to choose from, which provides you with the opportunity to tailor your life to suit your needs. Retirement communities offer great meals, social opportunities, spiritual, cultural and educational events as well as a wide range of fitness programs to keep you up and moving. There is one constant however – retirement communities are a comfortable, safe place – where you are a respected member of your community. If this sounds good to you – it’s good to start thinking about and asking questions about retirement living now. Planning ahead will allow you and your family to make your lifestyle adjustments more comfortably. So if you are looking to have easier access to social activities, to live among your peers and to be free of having to maintain your current home, start the conversation now. 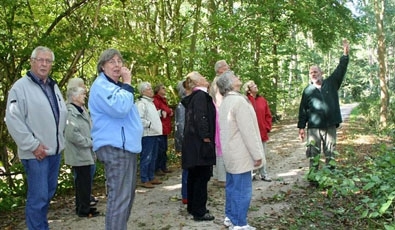 There is a retirement community in your neighbourhood that’s right for you. 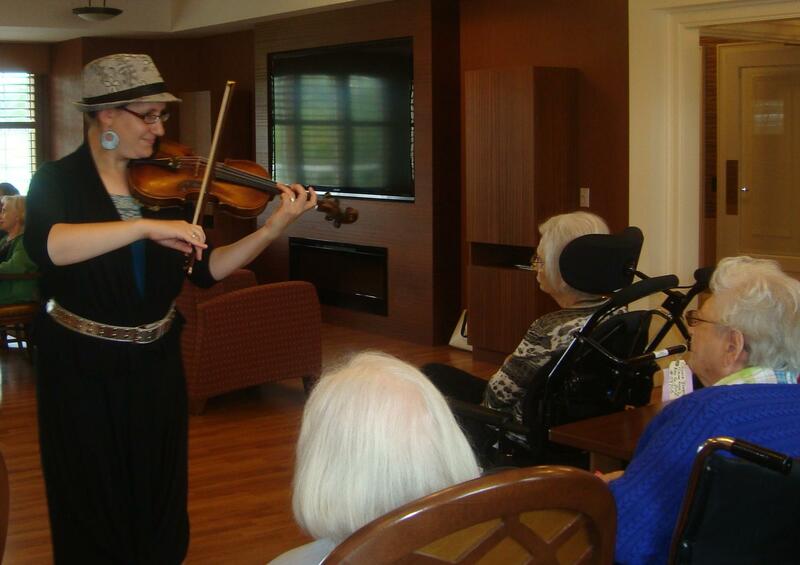 What is it like living in a retirement community? Life in a retirement community will depend on your preferences, budget and care needs. However, you can expect certain attributes to be present. Most importantly, you can expect to be safe, comfortable and a respected member of the community. 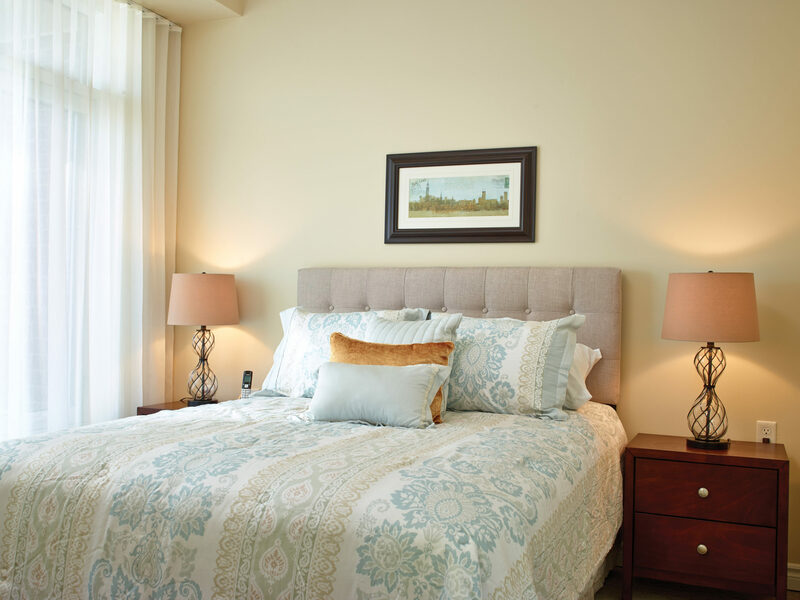 Whether your preference is a studio, one or two-bedroom suite with a kitchenette your personal space is designed to make you feel comfortable and safe offering any of the supports you may need. Weekly housekeeping as well as more frequent cleaning and laundry are just some of the services you’ll have to choose from. Communities are designed with common areas, lounges, libraries, hobby rooms, fitness areas, billiards, garden and sun rooms for your enjoyment and your socializing. Located right in your home it will be easier to participate – no matter the weather or time of day. Enjoy walking clubs, special guests, movie nights, holiday events, game nights, gardening clubs, cooking sessions and so much more. Recreation coordinators are on staff and always happy to hear new ideas for recreation from residents. 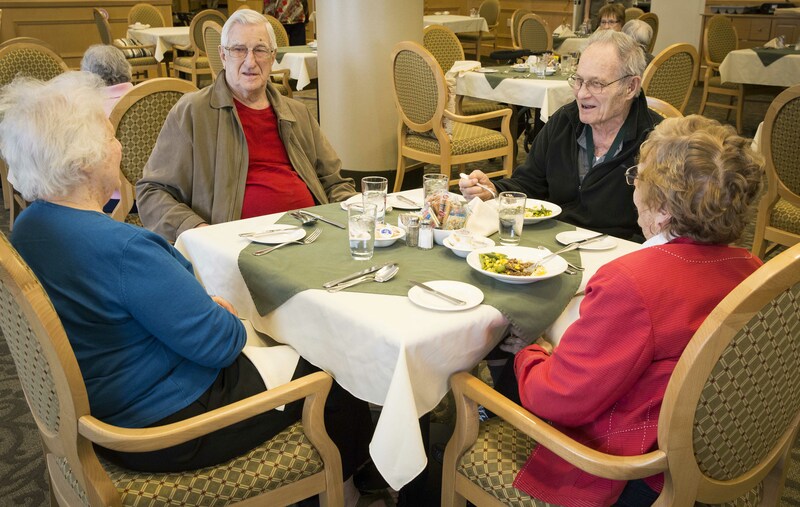 You’ll get to flex your choices when it comes to dining in retirement communities. Many offer main dining rooms, bistros and patios where you can take your breakfast, lunch, dinner or snack. Menus are rotated regularly by the Chef, which means that healthy, tasty food is always offered. The daily specials are a favourite and your family and friends will be able to enjoy them with you. Private dining rooms and catering are also available. Retirement communities support your lifestyle, whether it’s independent, or with support. Trips into the community, daily walks and assistance getting to and from appointments are available at any time. Remember, retirement communities are designed to provide choice and support as you may need it. Interested in having a tour? Use our Find a home tool. Take along our checklist. And know as much as you can about your choices. The right home for you is in the perfect location and has the amenities and services you need. We’ll help you find it.